The number of individuals receiving benefits from the Supplemental Nutrition Assistance Program (SNAP), otherwise known as food stamps, declined by more than two million in fiscal year 2017, according to data released by the Department of Agriculture. In fiscal year 2016, the number of individuals receiving benefits from the food stamp program totaled 44,219,363. In 2017, that number dropped to 42,182,443—a decline of 2,036,920. 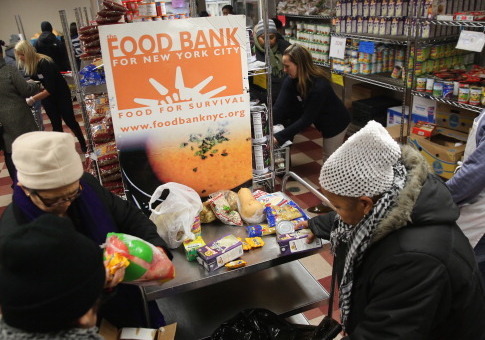 Food stamp participation has declined roughly 9 percent over the last four years. In fiscal year 2014, there were 46,663,872 individuals on food stamps. Historical data show that while the program has expanded greatly over time, participation has declined as of late. The USDA has been tracking data on SNAP participation since fiscal year 1969, at which time average participation in the program stood at about 2,878,000. This means that since then, participation in the program has increased 14-fold. The data indicate that food stamp participation peaked in year 2013, when there was an average of 47,636,000 individuals benefiting from the program. As of 2017, the program cost taxpayers about $58 billion with individuals receiving an average benefit of $125.05 per month and households receiving an average benefit of $252.55 per month. The number of households receiving food stamps also declined in 2017 from 21,777,938 households in fiscal year 2016 to 20,886,012 households on the program in fiscal year 2017. While the SNAP program requires that state employees certify households for benefits, the agency issued new guidance in December of last year that would allow private-sector employees to provide information. "The new policy maximizes flexibility within the law related to the SNAP certification process, while holding states accountable for ensuring eligible people have access to food benefits as they move toward self-sufficiency," the agency states. Secretary of Agriculture Sonny Perdue said this helps the program with streamlined access and efficiency. "This flexibility is a positive step toward enhancing customer service and being good stewards of taxpayer dollars," Perdue said. "I encourage all states with an interest in this new flexibility to consider this change in policy, especially states looking for better ways to align their operations across multiple programs." Brandon Lipps, acting undersecretary for food, nutrition, and consumer services, said that as the economy continues to improve, participation in the Supplemental Nutrition Assistance Program (SNAP) is declining. "The goal of the SNAP program is to support families in need as they strive to attain self-sufficiency. SNAP was established as a temporary supplemental nutrition benefit guiding people to self-sufficiency and self-reliance, not a permanent way of life. The Congressional Budget Office estimates that SNAP participation will drop by about 1.3 million people each year over the next 10 years as the economy continues to strengthen." "Working together with our state partners, USDA is committed to finding innovative, cost-effective ways to help SNAP recipients find and keep gainful employment in order to build a stronger future for their families," Lipps said. "We must ensure that we serve SNAP participants well."